Arkane on Prey: "This is our version of sci-fi"
Arkane Studios' Colantonio and Bare open up on the complete re-imagining of Prey. 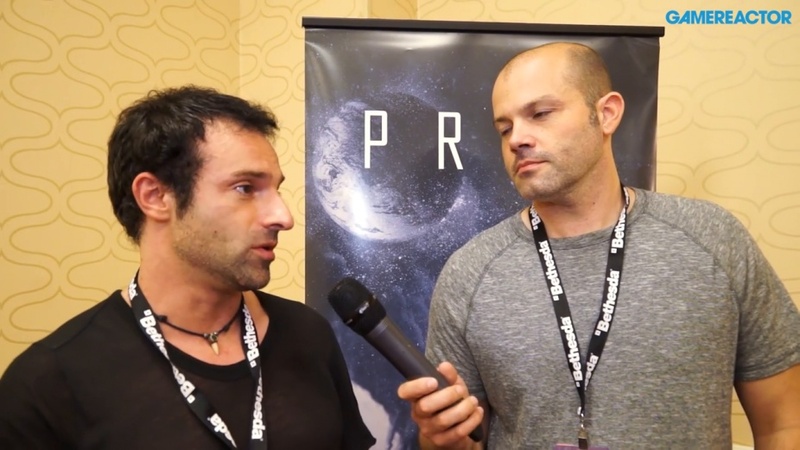 We caught up with Raphael Colantonio and Ricardo Bare from Arkane Studios at QuakeCon to learn more fo their re-imagining of Prey, its open structure, its aliens, its mechanics, and much more. "After we did Dishonored, there was a set of options that we had," says Colantonio. "We wanted to make Dishonored 2 so part of the team did that, and then we also wanted to make a game in space where there's a survival aspect, some sort of ecology. Something that we are describing right now [with Prey], right. The more open structure thing. And Bethesda said, 'why don't you do it with this franchise?'. And so in our mind it was, from a high level it's the same, because it's shooting aliens in space and escaping a space station, and it is in first person, but this is pretty much the only direct link with the original, because other than the high level concept we pretty much started from scratch and did our own version of that." Ricardo Bare, continued on by saying: "This is very much an Arkane game, which means, like Raph was saying, huge amount of attention to detail and world design. So we want the space station itself to be one of the most memorable characters of the game. And secondly it means, it's a game where players get to play their own way." We also asked them what the nature of this open world or open structure design is like. "When people think open world, they think of something that is pretty diluted, I guess" says Colantonio. "And at Arkane we are trained to do things that are more like with a certain level of detail so if you think of the level of detail of Dishonored we have the same level of detail. So it's pretty zoomed in. So it's not open world in the sense that you run around for miles, it's more like an open structure in the way that you can always come back to places and the context might have changed as Ricardo was saying, but the level of detail is the one of our kind of games." "Often we say the same way Dishonored was our version of steam punk this is kind of our version of sci-fi," says Colantonio. "It's not exactly the sci-fi that you've seen before. The definition of our world is really unique to our game. And yes, of course, then it's awesome because there's this technology [that always for multiple ways to solve any situation], but we can't do crazy stuff all of it needs to be justified by the story of our world and how does this type of technology that we want to use for our gadget fit into the world. In our case we decided not to have teleportation, now if we want it we can still use psionic powers, but as far as technology goes we had to be really coherent with what we wanted, and we went with a fairly grounded type of sci-fi. Something that has so much explanation behind that it kind of feels like real."